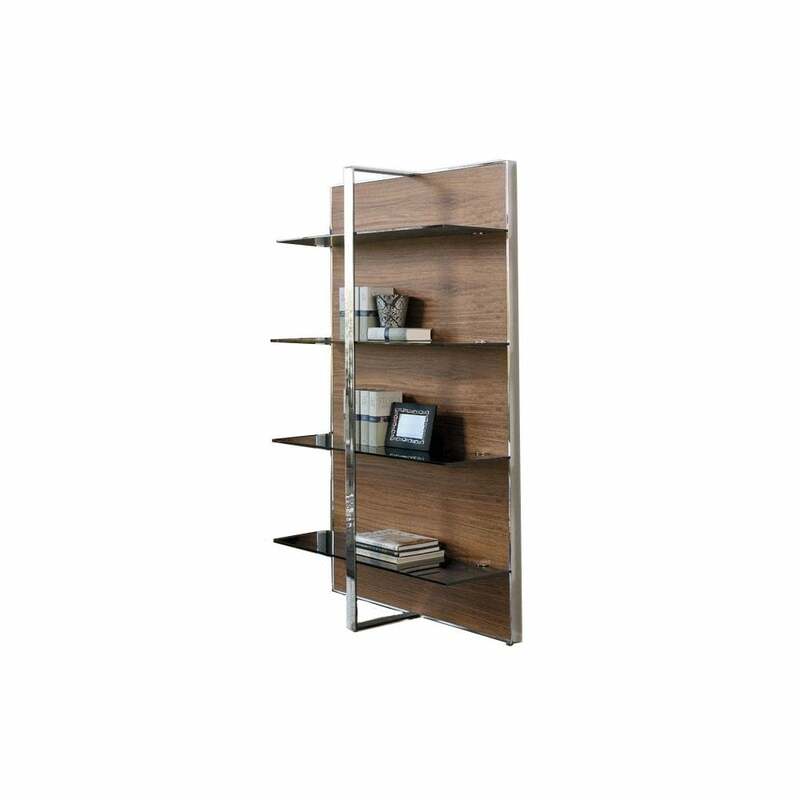 Wall bookcase, wooden and steel frame. painted glass shelves. An elegant storage solution with the ability to give light and functionality to the home.